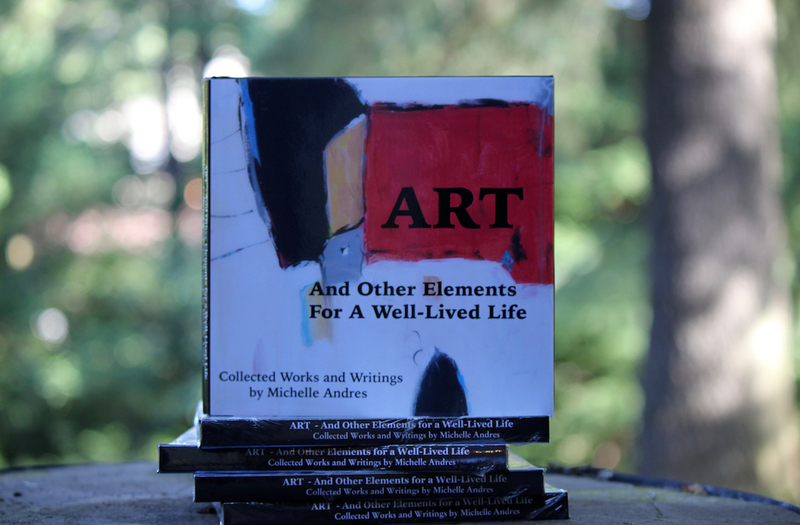 My book, “ART – And Other Elements For A Well-Lived Life” is now available. It’s an art book – with lots of luscious, richly colored pictures on great feeling paper AND it’s a self-help book, offering thoughts on how to cultivate your own well lived life in my typical writing style – poking life in the eye. You may order directly through the website or can find it from a distributor here. If you choose to order directly from me, I’ll sign it before sending. Options for shipping or pick up are below.